God, I love summer. I love Sundays. Sundays whenever I wake up, usually by eight, sometimes I sleep until nine, I get coffee in bed, do my words and email my clients. 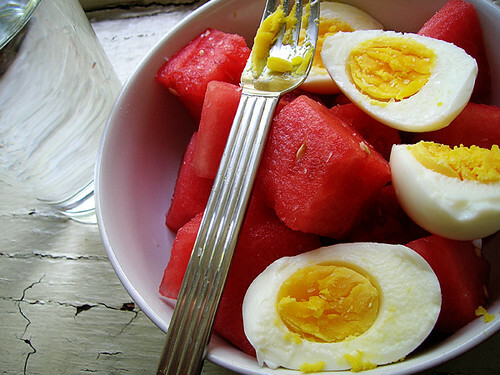 Then I get up and tidy the bedroom and the kitchen, I boil my eggs for the week, eight total, and whack whack whack I cut up the week's watermelon and put three-quarters in three jars and plate the last quarter. Then the timer goes off for the eggs, I run cold water over them and peel two for my plate. Then I take my plate to the couch and have my breakfast. Or bowl, as the case may be. Eventually, I get up and put the six other eggs into a half carton to bring to work. That's it, cover the jars and put them in the fridge next to your watermelon jars. All in all, it takes maybe fifteen minutes? A half hour at the most. 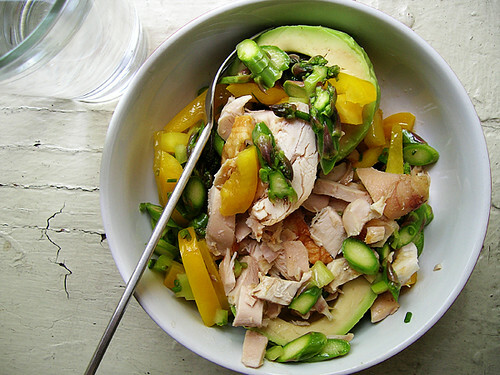 Not long enough for me to be hungry for lunch, so I wander off and when I'm ready for lunch I halve an avocado and a handful of cherry tomatoes into a bowl and empty a chicken jar over the avocado and tomato. Where are my tomatoes. Well, I usually have tomatoes. So if you've been counting, that leaves me with six hard boiled eggs, three watermelon jars, and three chicken jars for MWF work breakfasts and lunches. I order three avocados and a pint of cherry tomatoes at a time from der groschery mann, and divide the pint over three lunches.